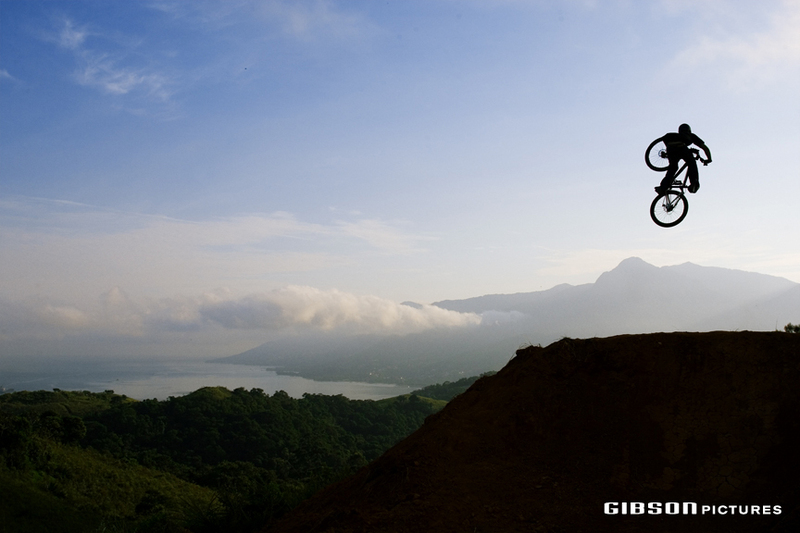 Paul Basagoitia is a titan in the world of freeride mountain biking. 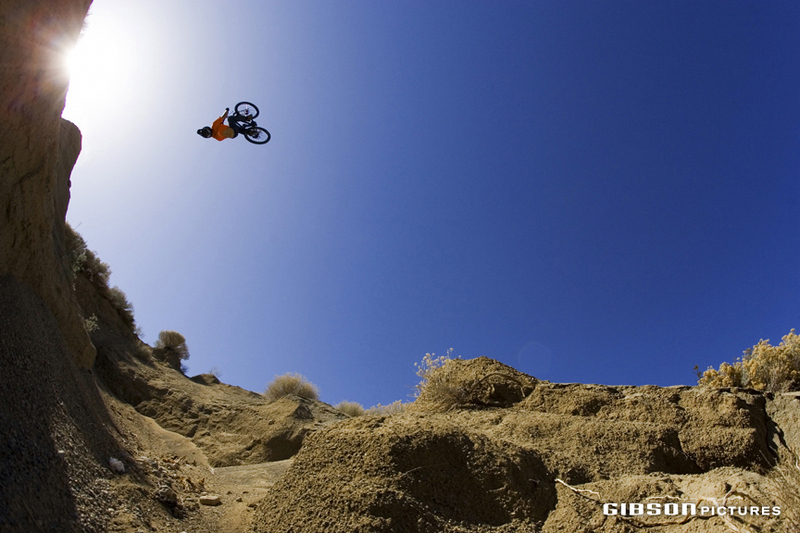 He had a big crash at this year’s Rampage and is now on the road to recovery. Here’s some photos of the man we call PB doing what he’s done best over the years. There’s a fundraiser set up – please click on it and help him out. 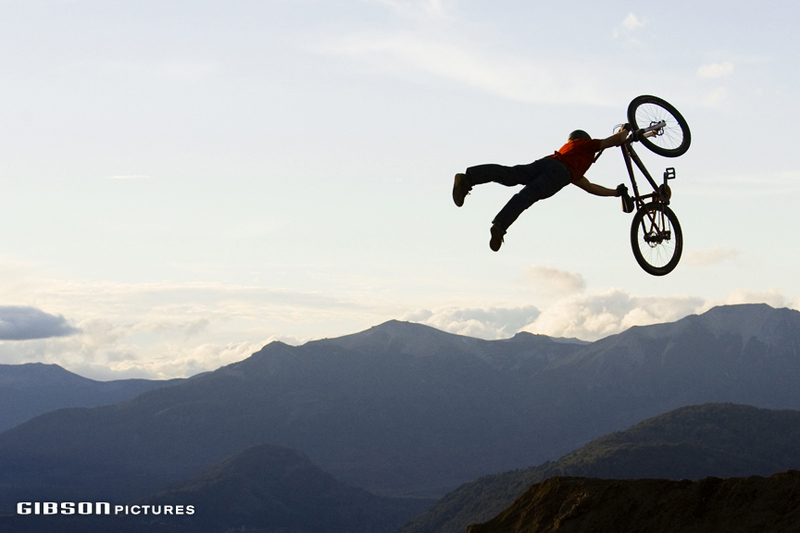 PB won the 2004 Crankworx slopestyle contest on a bike he borrowed from fellow Nevadan Cam Zink. 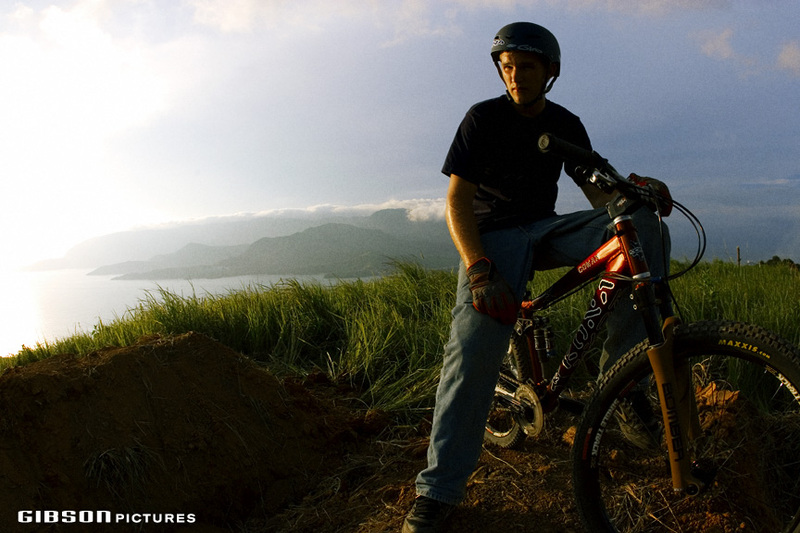 He soon signed with Kona & went on to win Crankworx again in 2005. 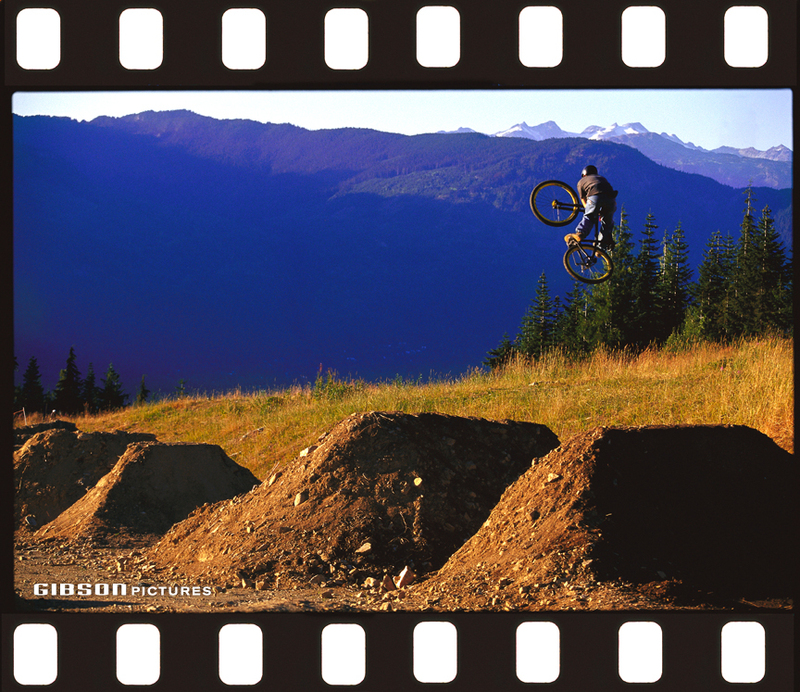 Shooting film with Paul Bas in Whistler. 2005. Shooting for New World Disorder in Brazil. 2006. 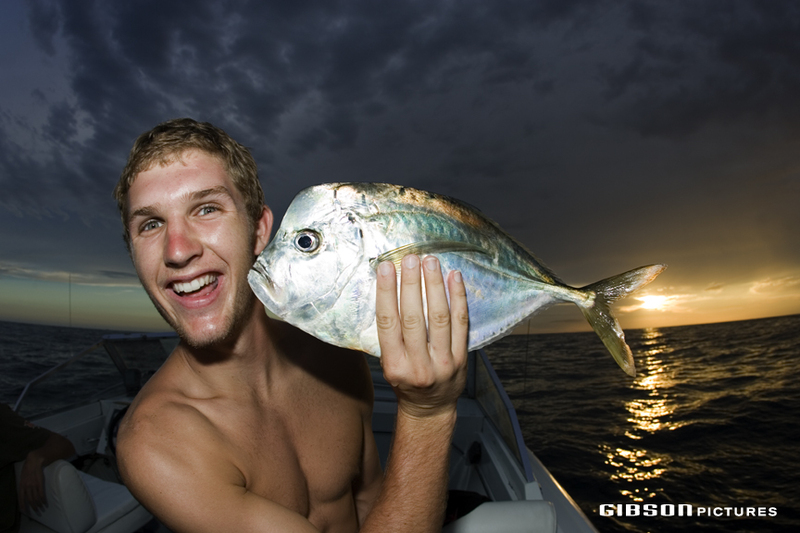 Paul Bas fishing in Brazil. 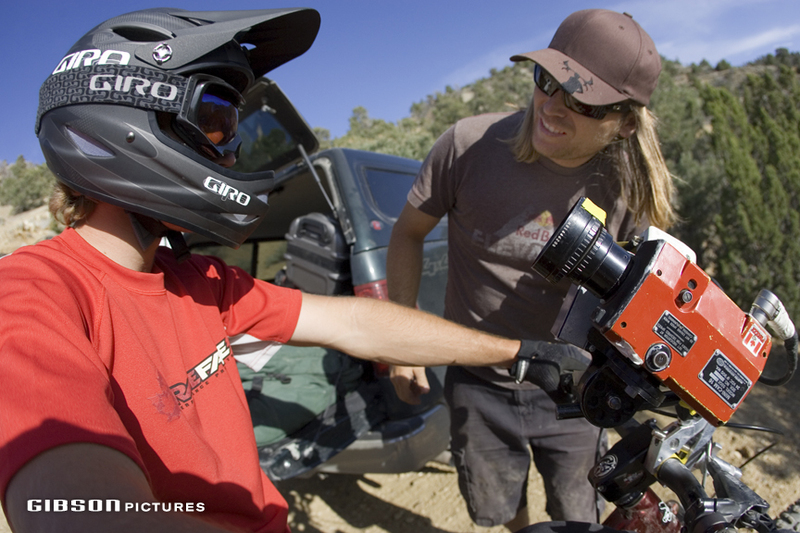 Making movies with Axl Fostvedt of Freeride Entertainment for NWD in Utah. Shooting near his hometown of Minden, Nevada for NWD 8 in 2007. 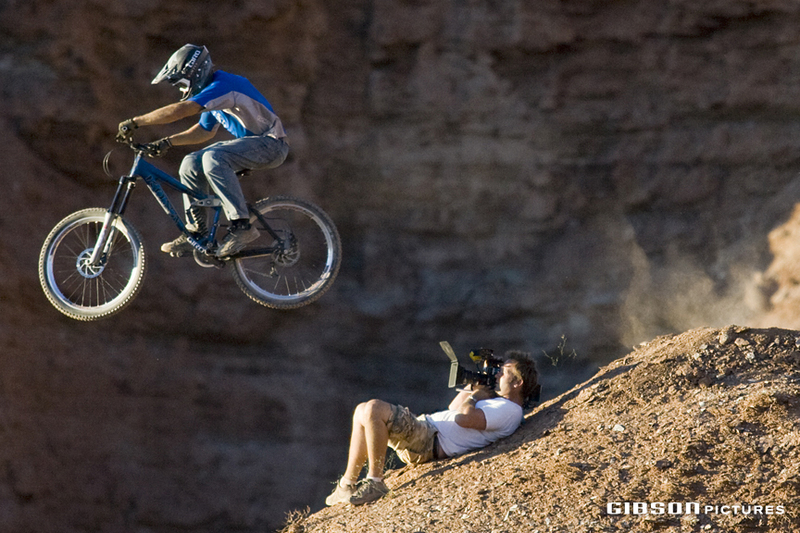 Getting the shots with Axl for New World Disorder in Nevada. 2007. 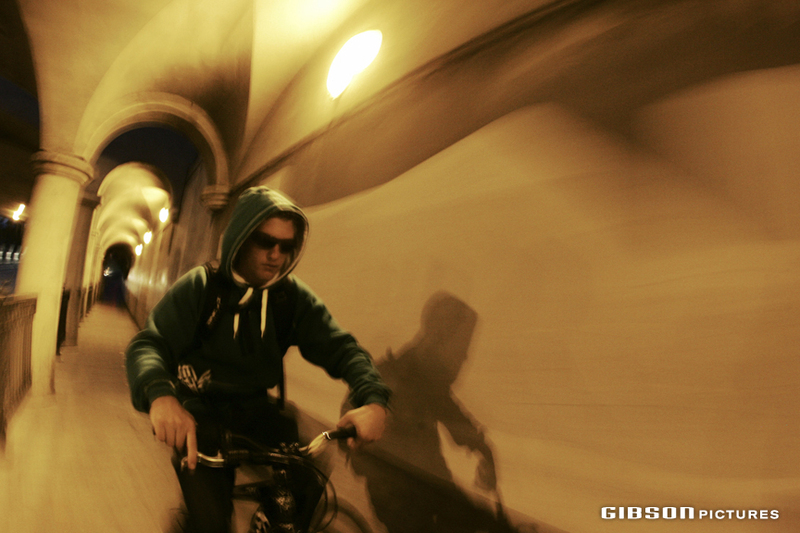 On the road with Paul Basagoitia. Utah. 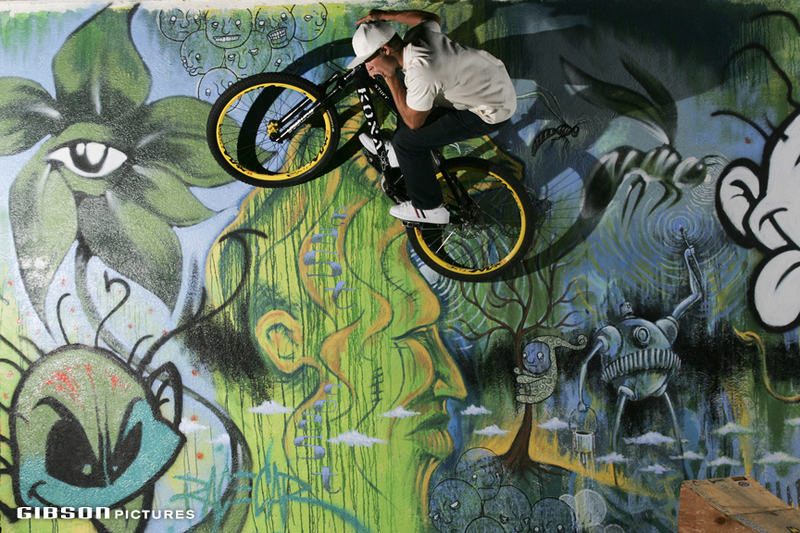 Wall ride in Santa Barbara, California. 2007. 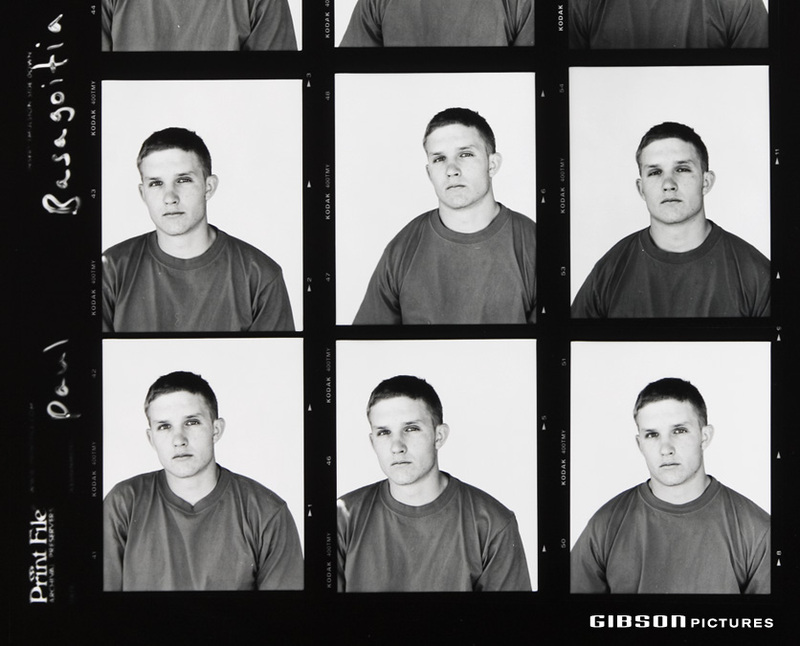 Smith photo shoot. Santa Barbara, California. 2007. Back to Utah. Shooting for New World Disorder. 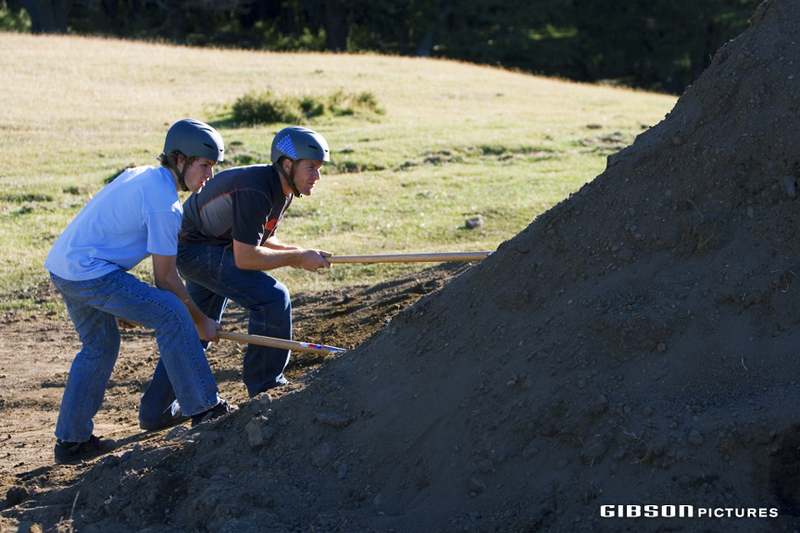 Paul B and John Cowan Kona Clump/NWD shoot in Chapelco, Argentina. 2007. Paul Basagoitia and John Cowan evening session. PB Superman in Argentina. 2007. World DH Champion Fabien Barel & PB. Kona Bowling Tournament. Las Vegas 2005. 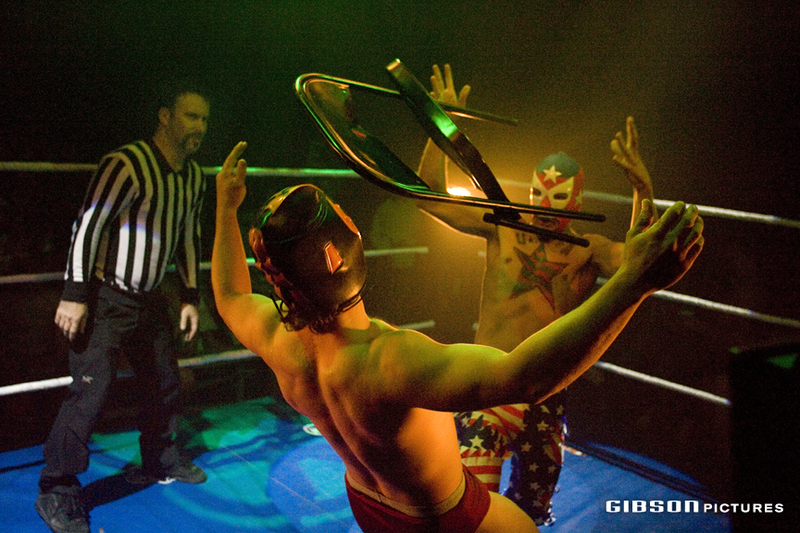 Paul Basagoitia smoked Darren Berrecloth with a folding chair while shooting the opening segment for the movie NWD 8: Smackdown. Lunchbox Larry officiated the proceedings. 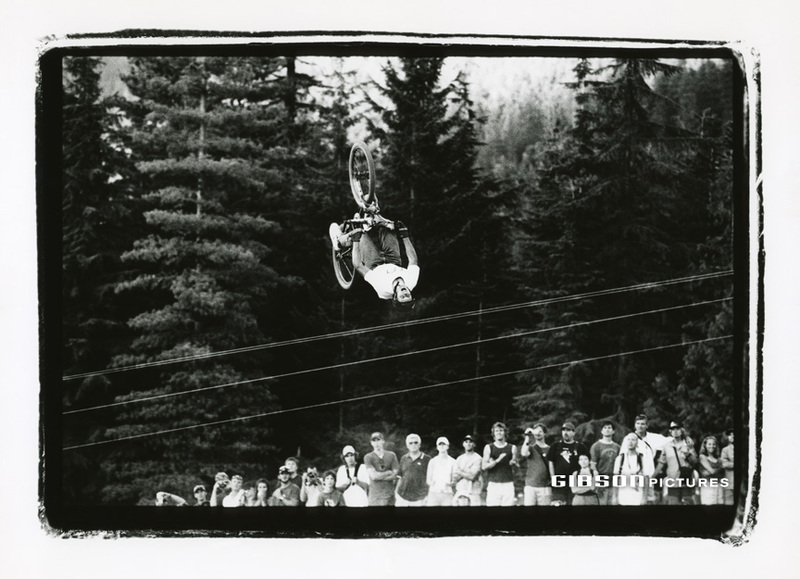 Shooting the Red Bull Snakepit in Ymir, B.C. PB. Indian Air. Ymir, B.C. 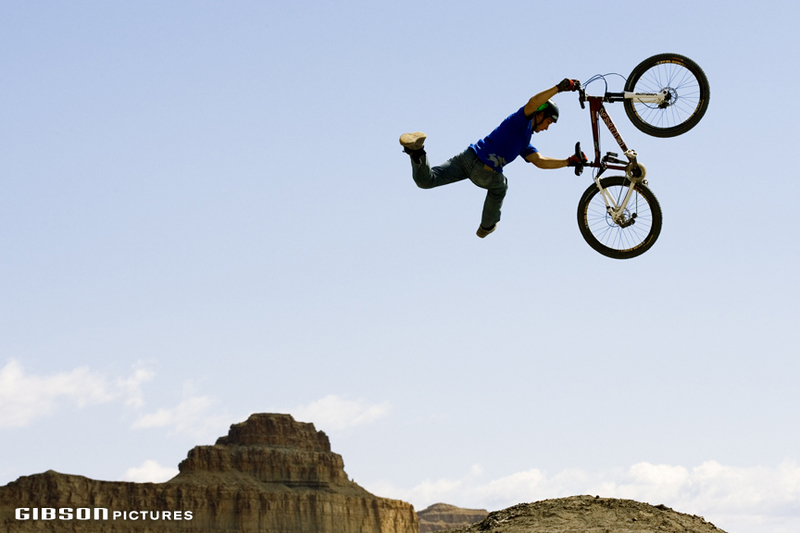 Shooting with Freeride Entertainment in Utah. 2008. Paul Bas 360. 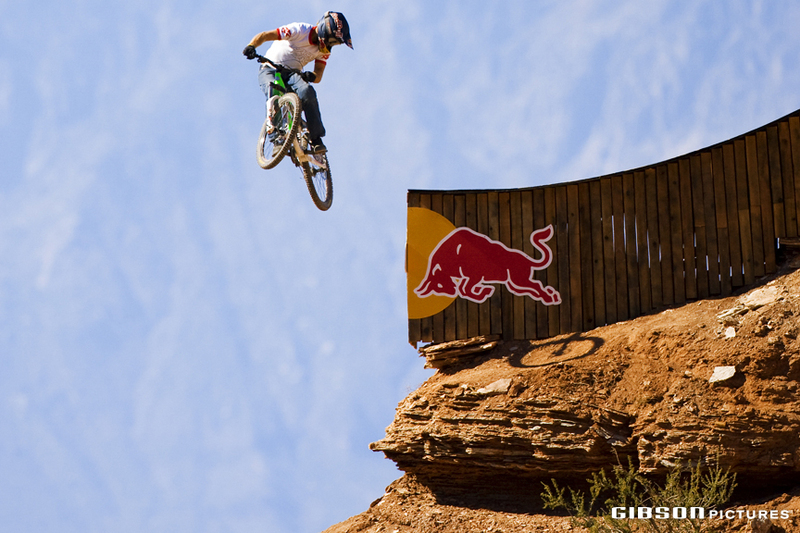 Red Bull Rampage. 2008. 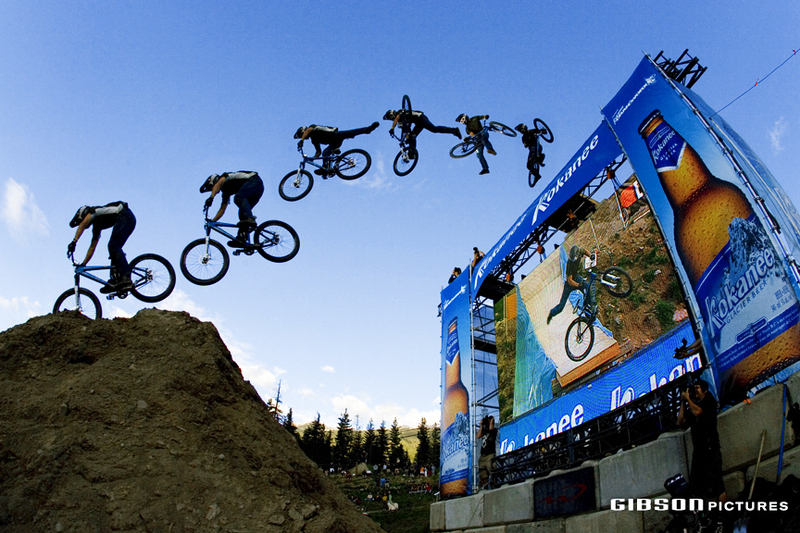 In 2009 PB & the Lacondeguy brothers along with the rest of the Kona team hit the road for the Stumps, Clump and Jumps Tour right after Crankworx. 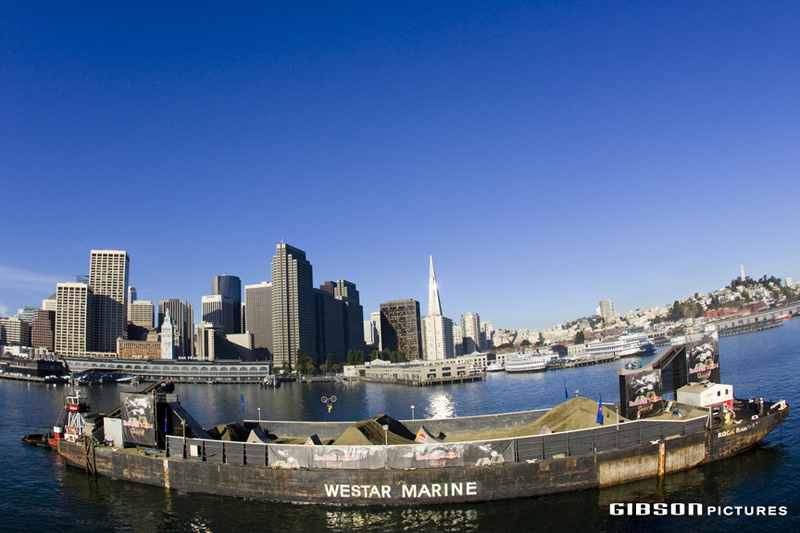 Destination: San Francisco. On the way Paul cracked some mean tables at the Colonnade Bike Park in Seattle, WA. 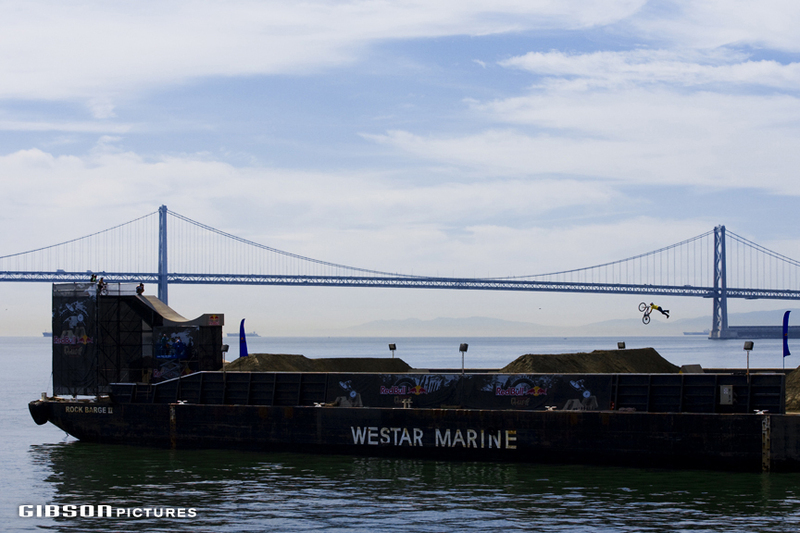 John Cowan built two sets of dirt jumps on a barge in San Francisco & we soon set sail. Paul B: Superman on the barge. 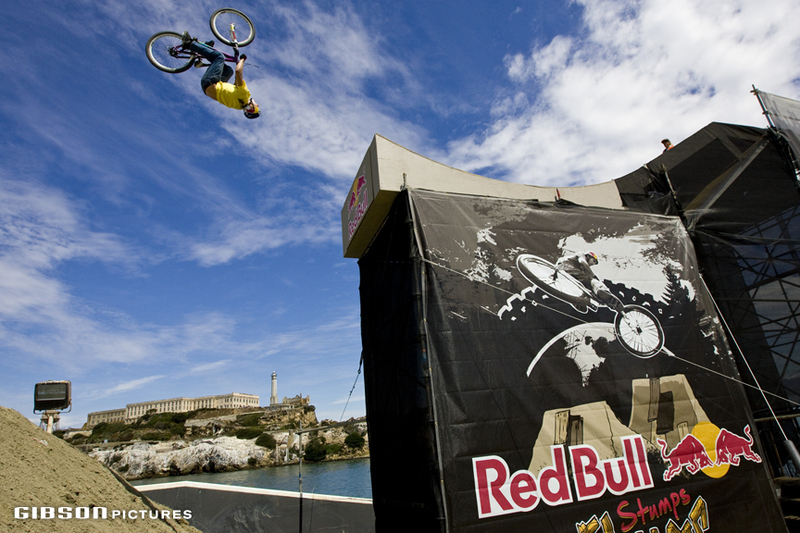 PB back flip next to Alcatraz. 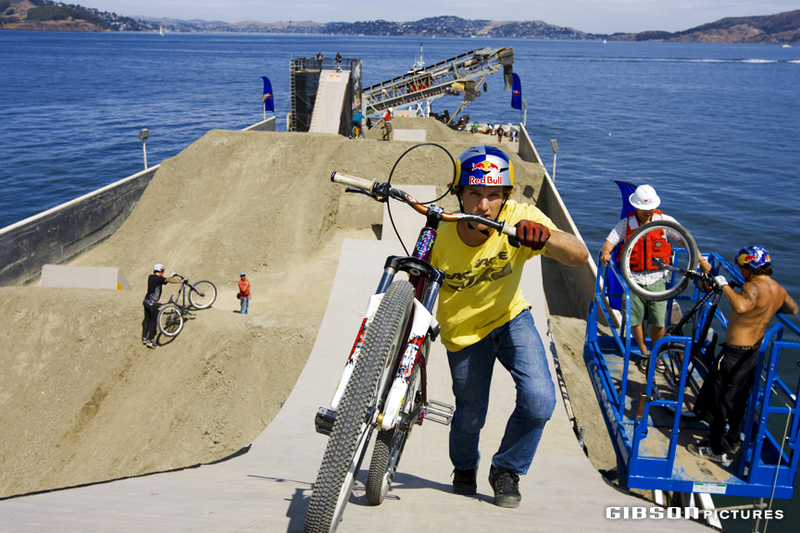 Paul B backflip on the barge. San Francisco. 2009. 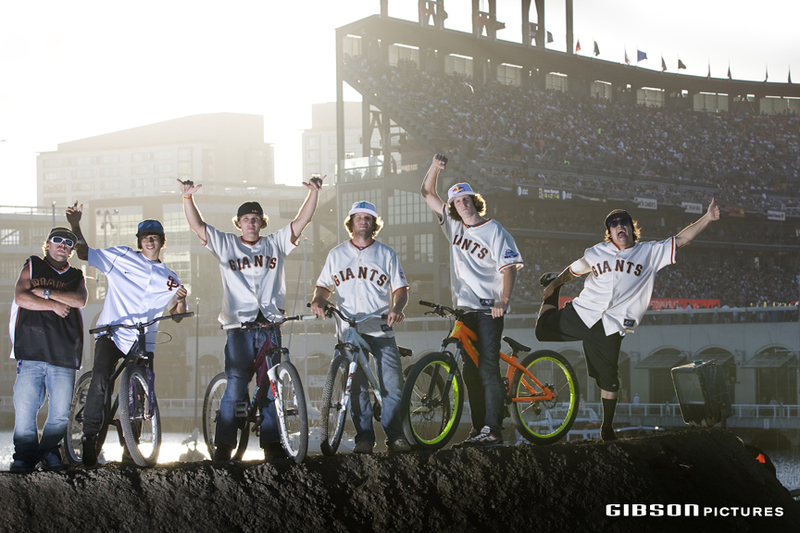 The boys finished off the tour performing a jump session in the harbor in front of about 40,000 fans at a San Francisco Giants game. 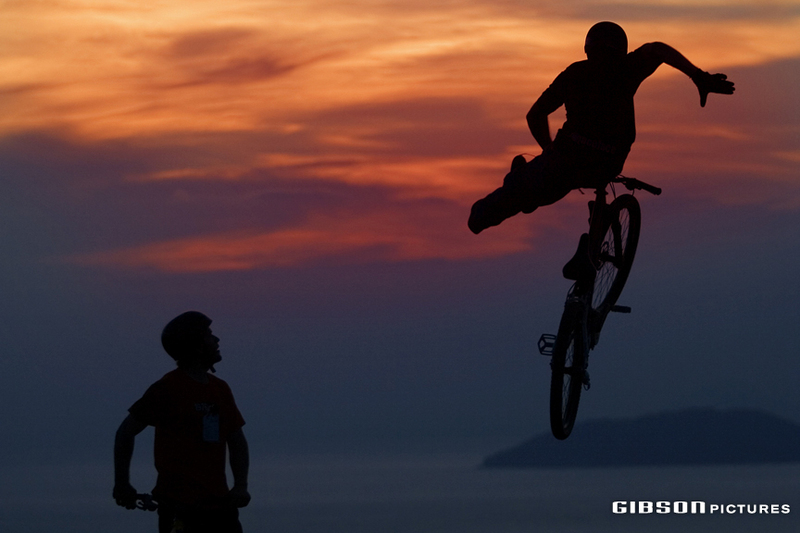 From left: Robbie Bourdon, Lluis Lacondeguy, Paul Basagoitia, John Cowan, Brandon Semenuk & Andreu Lacondeguy. 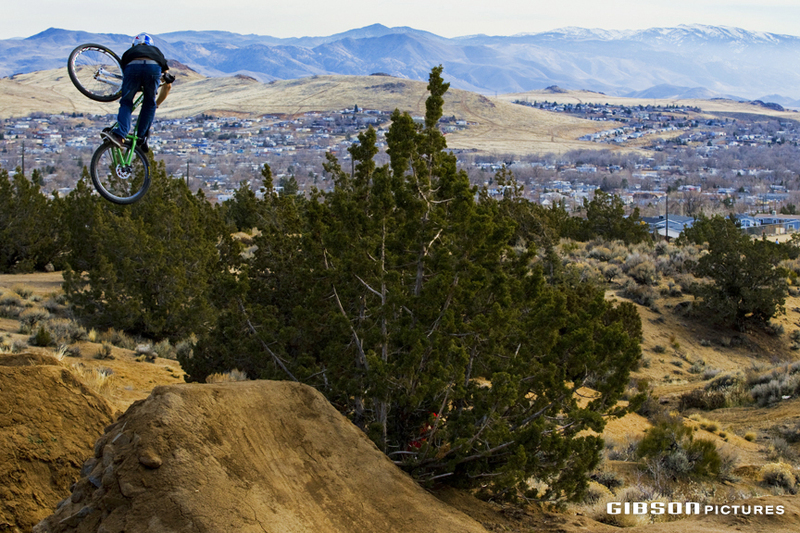 Shooting with Paul Bas and Cam Zink in Reno. 2011. 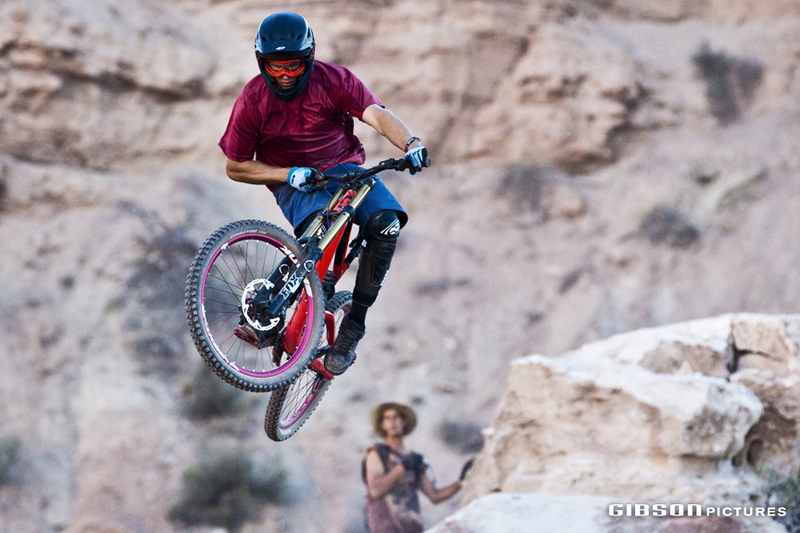 Paul Basagoitia charging at Red Bull Rampage 2015. 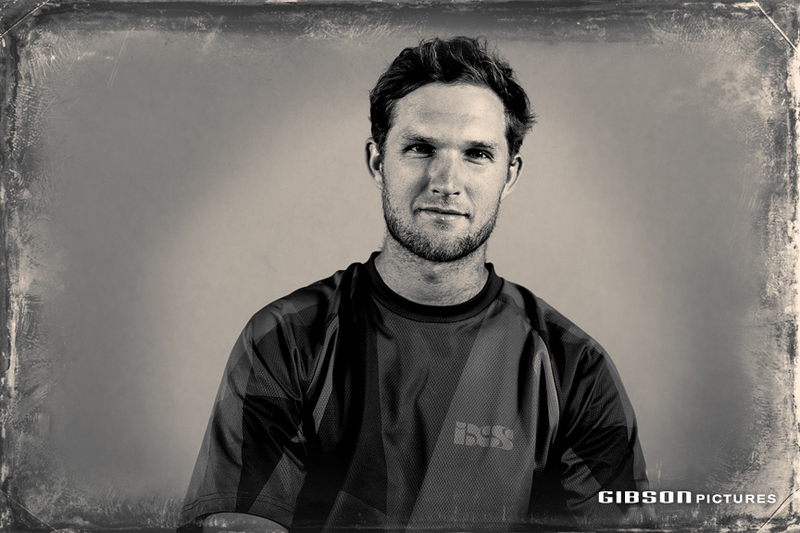 Copyright 2013 Gibson Pictures. The contents on this site may not be reproduced without permission.